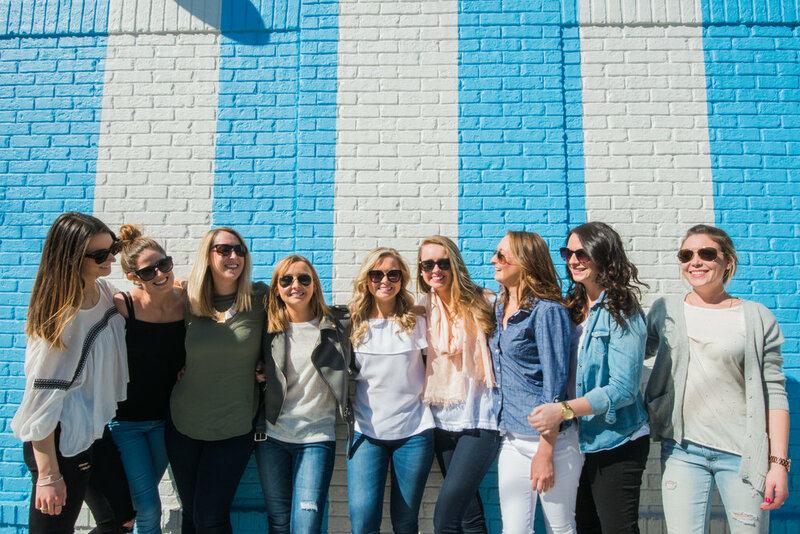 Nashville, TN has quickly become a major destination city for bachelor and bachelorette parties in recent years so when I was contacted by a French Canadian young woman about her friend's bachelorette party I was thrilled to have the opportunity to photograph a fun party! She and the other bridesmaids flew to Nashville to hit up all the places they wanted to see. 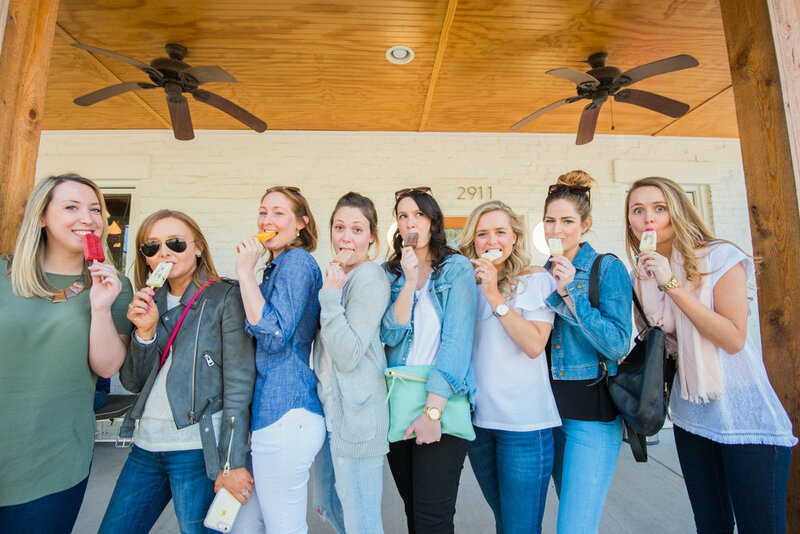 It was a fun and fabulous, and very laid back, girls afternoon in Nashville's hippest spots! We started in 12 Ave South neighborhood where we went to Draper James, Five Daughters Donuts, Las Paletas, and then headed downtown to Acme Feed & Seed and ended at the pedestrian bridge at the Nashville Skyline. 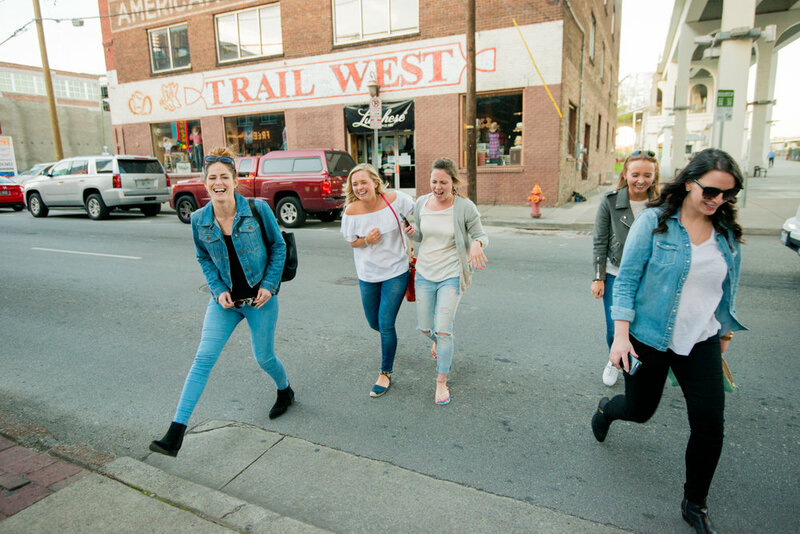 These are just some of the highlights of what these gals experienced in Nashville and I think their brief time in the South was a total boot skootin boogie of a time! The I Believe in Nashville sign on 12 Ave South is a tourist staple now in Music City. Five Daughters Bakery in the 12South neighborhood was a delicious stop for donuts! You can always find a food or a flower truck parked on 12 Ave South and we totally took advantage of the afternoon sunshine and hippie chic flair. Draper James is definitely a popular stop for many and who can resist the striped wall and the southern charm inside the boutique?!?! French tres chic meets Southern classic! The 12 Ave South neighborhood is so much fun to experience. 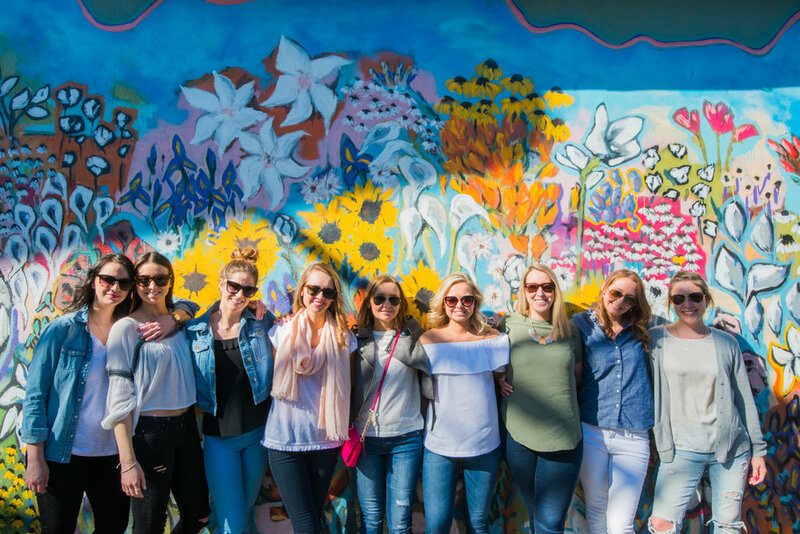 There's colorful murals, Las Paletas popsicles, and lots of boutiques and food to try! Finally, we ended the afternoon with roof top drinks at Acme Feed & Seed and taking in the Nashville skyline at the pedestrian bridge. What a fun way for these ladies to make memories together and remember this time in their lives!